We loved our featured New Year's Eve wedding last week, so for this week's wrap up, we decided to look around the web for some other great decorating ideas. 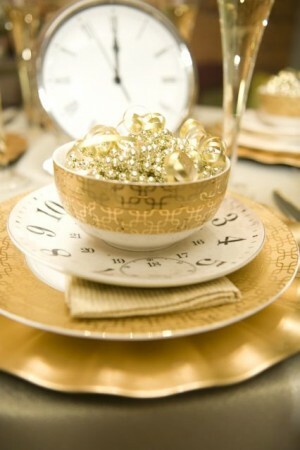 Kiss My Tulle offers some great ideas, including this adorable clock centerpiece she found on New England Fine Living. 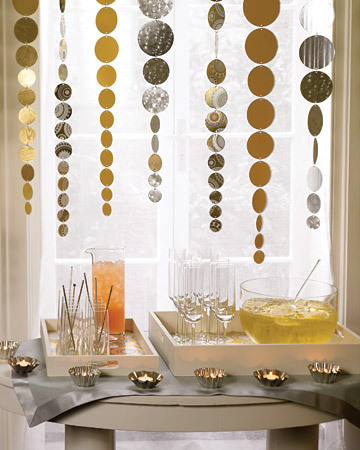 These streamers from Martha Stewart would be perfect for a mod New Year's Eve wedding. 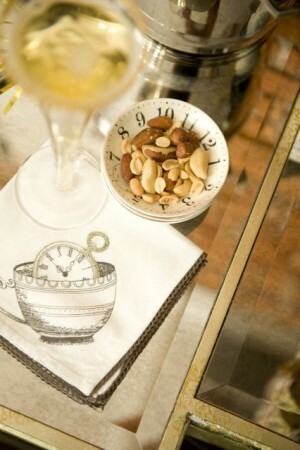 Love these great clock settings from Elizabeth Anne Design, although, I'm not sure anything except the nuts is edible. What is in that bowl filled with gold stuff? Gold? 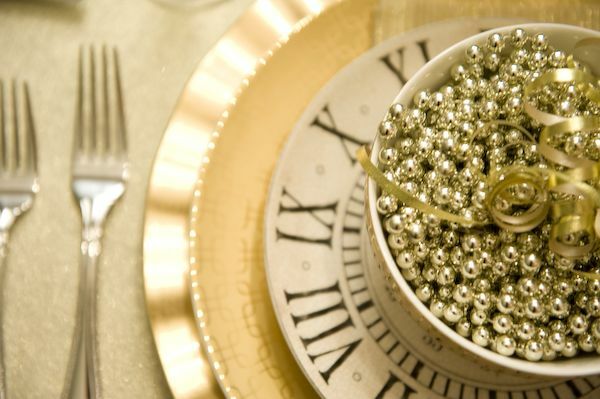 What great New Year's wedding ideas have you seen?